Hear Maria Todd read a touching letter from a relative of a patient of Dr. Bidros. Dr. Bidros also discusses why he is so passionate about breast reconstructive surgery. Dr. Bidros discusses breast reconstruction and his patient Kim shares her testimonial on breast reconstruction. Dr. Bidros discusses the DIEP flap technique regarding breast reconstruction. He also discusses how he manages his patient’s expectations. 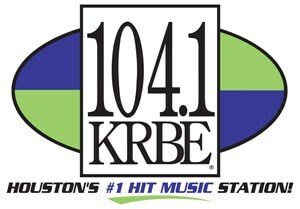 Dr. Bidros has partnered with 104.1 KRBE to increase awareness of breast cancer reconstruction. He also discusses insurance options and coverage of breast reconstruction following mastectomy. Dr. Bidros’ goal is to create awareness of breast cancer reconstruction. 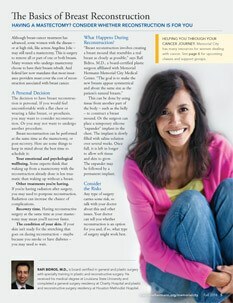 You have many options when it comes to reconstruction following breast cancer. Dr. Bidros wants to help you decide which option is best for you and ultimately which option will make you feel whole again. Dr. Bidros combines his skills & training in cosmetic and reconstructive surgery to give you the body of your dreams. 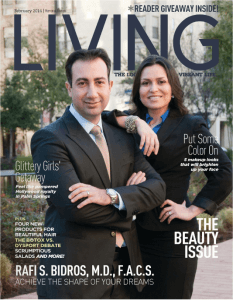 Read his interview in Living Magazine here. Read the full magazine article.